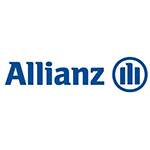 Allianz Australia Ltd is one of the country’s leading insurers, operating throughout Australia and New Zealand and providing insurance to more than 3 million people and businesses. Presented by Duncan Graham and Sophie Krishna, learn how innovative and people led changes have been implemented, and resulted in enhanced customer experiences and improved workplace culture. Hear about their approach to a significant Contact Centre Transformation program that delivered business improvements and increased engagement through change, resulted in industry award recognition. Check out the incredible speaker line-up to see who will be joining Duncan.